Discover an ancient method for good health, inner wellbeing and natural beauty! Nuat Boran - Traditional Thai massage - the only one of its kind, an ancient method of therapy that joins elements of Yoga, acupressure and reflexology. Thanks to this unique synthesis, Thai massage improves physical, emotional and intellectual condition in a total (holistic) way. Experience the therapeutic effects of Nuat Boran for yourself. Enter into an atmosphere of complete calm and relaxation. Release yourself from stress, aches, pains and other mental burdens. Be convinced yourself by a superb 2200 year old tradition. In our centres in Krakow massages are performed exclusively by experienced Thai masseuses schooled in Wat Pho Temple in Bangkok. Beginnings of Thai medicine can be traced back to the dawning of the planet itself, however we can clearly name FOUR SOURCES that merged to create the origin of a medical system, that is promoted today by the National Institute of Thai Traditional Medicine and practised in over 6,000 hospitals and clinics throughout Thailand. 1. Local traditions of folk medicine and shamanism that dominated in Thailand before the invasion of great religions and philosophic systems - Hinduism and Buddhism. 4. Traditional Chinse medicine – it is a three thousand years old, popular throughout the globe, great medical tradition that arrived in Thailand with migrating Tai peoples who travelled from South-West China (between 1000 and 1300 AD). 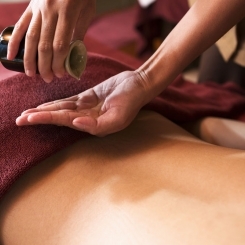 Contemporary Thai Medicine is divided into “internal medicine” (the use of herbal remedies and dietetics) and “external medicine” which includes the practice of chiropractic, cupping as well as external application of herbs by way of balms, ointments and herbal compresses, on top of massage techniques (acupressure and stretching). Working with your body may take on various forms, that stemmed from numerous traditions of understanding human constitution, the role of man and his place in the world and society but also in the spiritual and mystic dimensions. In many traditions, especially those from Far East, the body is seen as a certain vehicle. That vehicle - when used conscientiously and with utmost consideration – is able to raise us to a higher level of perception of reality. Some say it may even help us achieve a higher level of enlightenment. This perspective may be hard to accept for a person from the western tradition, as it falls outside the main stream of our culture. However, the message sent by our body and its symptoms, may be a source of knowledge on ourselves, our emotions, blockages, limitations or unconscious needs, which continues to be the focus of many contemporary psychotherapy trends. Among these we can name Wilhelm Reich`s vegetotherapy, bioenergetic analysis of Alexander Lowen and, to a lesser extent, Gestalt psychotherapy and Arnold Mindell`s process oriented psychology. Among “touchless” methods of working with body we can name yoga, which becomes more and more popular in the west, pranayama, mindfulness meditation, reiki, holotropic breathing techniques, Tai Chi and Qigong. Healing “touch” methods include all therapeutic massage techniques including Thai massage as the most principal (that is our subjective opinion). Reflexology, chiropractic, Bowen technique, Rolfing (structural integration) and Feldenkrais method all fall into this category. The feeling of pain and bodily discomforts may be caused by an obvious mechanic injuries, chronic illness that causes degenerations, as well as stress related tensions that accumulate in body tissue. Manual therapies are a general category. We list here all diagnostic methods, techniques and treatment of reversible functional disorders of musculoskeletal system (joints, muscles, fascia and tendons). They additionally aim to stimulate liquid connective tissue (circulatory and lymphatic systems). Examination and intervention are both performed with the hands of the therapist, therefore this type of work is called manual therapy. massage: affects all soft tissue, starting from skin, muscles, facia, ligaments, tendons, periosteum. It actuates circulatory and lymphatic systems, tissue fluid and may improve functioning of internal organs. 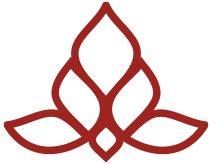 All the named techniques with their beneficial therapeutic advantages make up the definition of Traditional Thai Massage. It significantly steps outside the traditional definition of massage, rather being seen as a universal and comprehensive method of working with the body. Thailand was the only country in South East Asia that was never colonized by the West, and one of its official names, Prathet Thai, may be translated as ‘The Country of Free People’. Just like the United Kingdom, Thailand is a constitutional monarchy, with the king universally revered. Anyone who dares to disrespect the king by actions or words may end up locked up in a hot and stuffy cell for a long time. Theravada Buddhism is followed by 94% of Thai population who worship in 35.000 temples around the country. Every boy under 20 years of age is encouraged to experience monastery life and become a monk for a year or two. Women are currently fighting to override this monopoly and gain full access to monastery life. Thailand with its 3200 km of shoreline and 1430 islands is a true paradise for those who love beach life and frolicking in the sea. Those who love mountains should head to the north of Thailand, where you can marvel in the delicious cultural varieties of local ethnic minorities. Thailand's capital city, Bangkok, is a metropolis just under ten million. Fifteen million tourists visit the city each year (including the Thai themselves). Although it is the hottest city of the world (on the basis of annual mean temperature readings), often ‘caught up in traffic’ and enveloped in a cloud of pollution, it is definitely a fascinating ‘must-see’ on the list. Thailand is a kingdom of animals. 10% of all known bird species can be found in Thailand. 2,500 elephants live freely in the country, with just as many domesticated and very often living in cruel conditions. Thailand`s forests are alive with many other species like: tapirs, tigers, rhinos, macaque monkeys, gibbons, gaurs (Indian bisons) and crocodiles. Thailand is home to the world`s smallest mammal: Kitti's hog-nosed bat (also known as bumblebee bat), while waters around the shore hide the biggest fish of the world: whale shark. Thailand is the world's top exporter of rice and... orchids. Orchid is the national symbol of Thailand, around 1500 of its species grow locally. Thai cuisine, local martial art Muay Thai and Thai Traditional Massage are the most recognizable trinity of ‘Thai culture ambassadors’ in the world. Thai massage has been evolving for centuries. For several decades it has been incorporated into and combined with certain other techniques that came from the ‘western world’. We encourage you to try different versions and kinds of this exceptional massage. Your first choice may hit that sweet spot but you may need a while to find your perfect option. Don`t be afraid to experiment! The purest form of Thai massage with a centuries-old tradition. The masseurs at the Wat Pho Temple suggest that massages be followed by herbal compresses which support and supplement the healing influence of the massage. Revitalising massage with the aid of aroma oils with extracts of lavender, rosewood, eucalyptus, peppermint, jasmine and ylang-ylang, combined with acupressure and ayurvedic techniques. Mid- and postexercise, deeply penetrating oil massage. Variation of Thai classical massage with herbal compresses, relaxing ointments and essential oils. Variation of Thai classical massage focusing more on the motor system. Very intensive treatment that hastens metabolism and helps to burn one's fat tissue. It combines multiple techniques and is set to to eliminate both post-injury and chronic pain of various parts of the spine, and muscle groups surrounding them. Massage of the feet by means of acupressure, concentrating on the soles. They flew in from a faraway land, into the country where there`s very little light for six months, it gets really cold and food contains almost no spices. However, they work with full commitment, dedication, radiating with peace and empathy for clients. They usually are cheerful, joke a lot and always wear a smile. Brave, strong women. We try our best to make their stay here in Poland as easy as possible. We want to provide them with comfort and safety, give them the support they need and create a friendly and warm work environment. 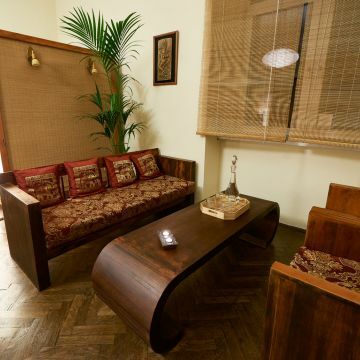 Both centres are located within the strict centre of Kraków, just a short walk from the city`s Main Square. They are easy to get to by public transport also from other parts of Kraków. Tram stop for Grodzka Centre is called ‘Plac Wszystkich Świętych’ and for Dietla Centre - ‘Starowiślna’. We have been operating in Kraków since 2006. Meanwhile, others have followed in our footsteps, but the role of Thai culture pioneers fits us well. We are happy to see that others have delved into the world of Thai mysteries, as we always aspire to improve and develop. We dislike stagnation, although tradition in Thai massage is a principal value.